Hall of fame - Welcome to Amin`s Angel Tattooz and piercings studio, training and tattoo material supply in Hyderabad. Few of Amin`s achievements and news paper articles related to tattoo and piercing. The Telegraph newspaper, jan 14, 2018, Spirithood tattoo festival, Orissa, bhubaneshwar. 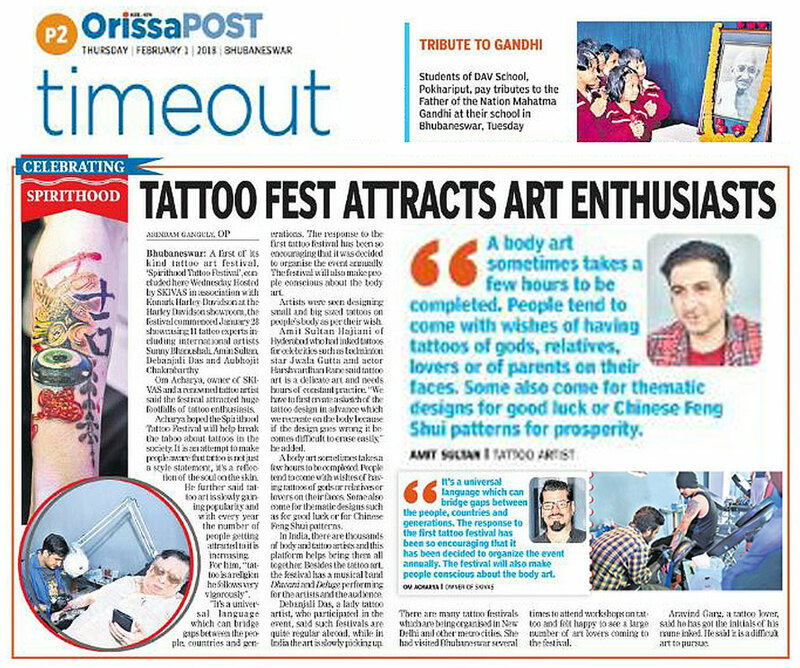 Tattoo article , Orissa Post, 2nd feb, 2018, bhubaneshwar. 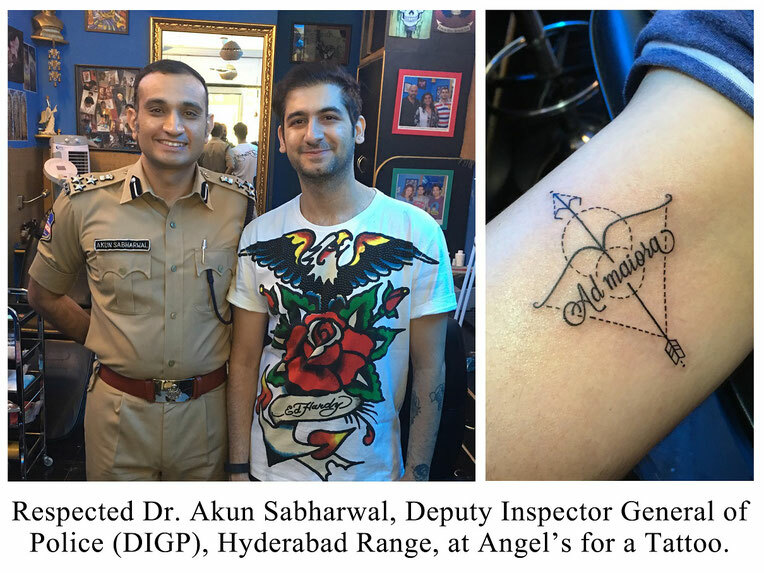 12.03.2018... At Angel Tattoos & Piercing for a tattoo, Mr. Gautam Kanneganti, son of the legendary telugu movie actor Shri Brahmanandam Garu. 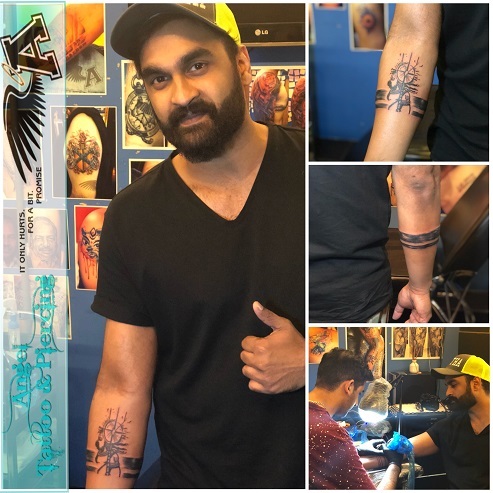 Having a fun time with Ms. Jwala Gutta & Mr. Manu Attri ( Famous badminton players and also our RIO olympians for the year 2016) at Angel Tattoo and Piercing Studio. Thank you guys for always trusting us for your tattoos and wishing you success at the Olympics. May you bring loads of laurels for our country. Tollywood actress Ms. Roja at Angel Tattoo & Piercing Studio, for a tattoo. 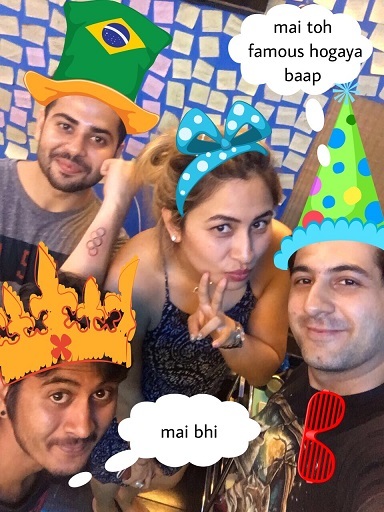 Jwala Gutta with her new tattoo at Angel Tattoo studio. 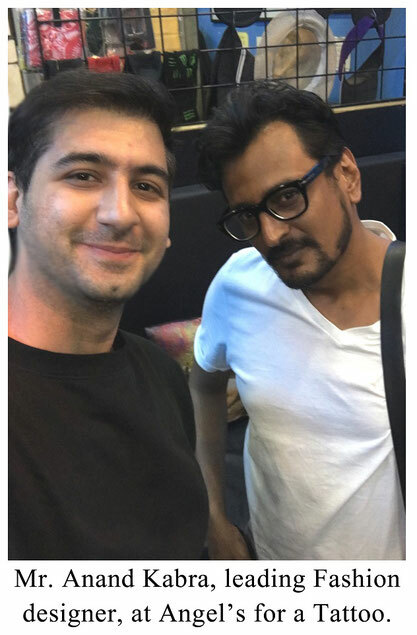 Amin with Olympic Badminton star "Jwala Gutta" and Tollywood actor "Harshwardhan Rane" at Angel Studio. 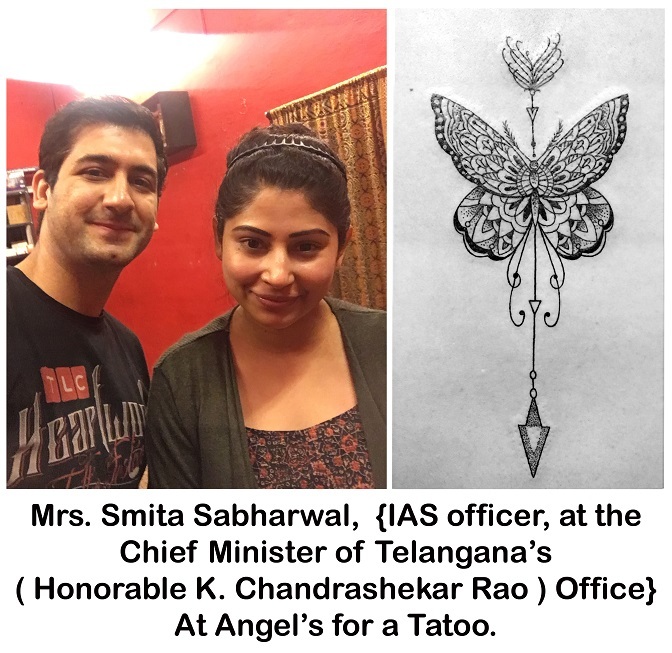 2012 Olympic Ace Shuttler 'JWALA GUTTA' Gets Olympic Logo Tattooed at Angel's. 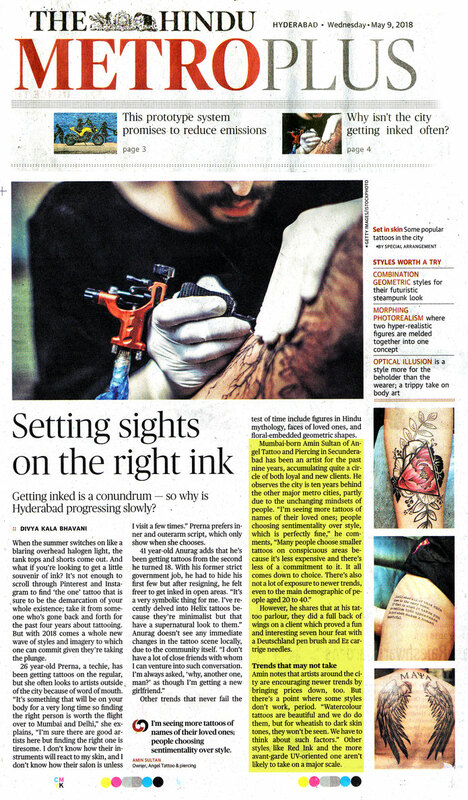 My interview on Tattoos in " Times of India " news paper by Lisa Mahapatra. 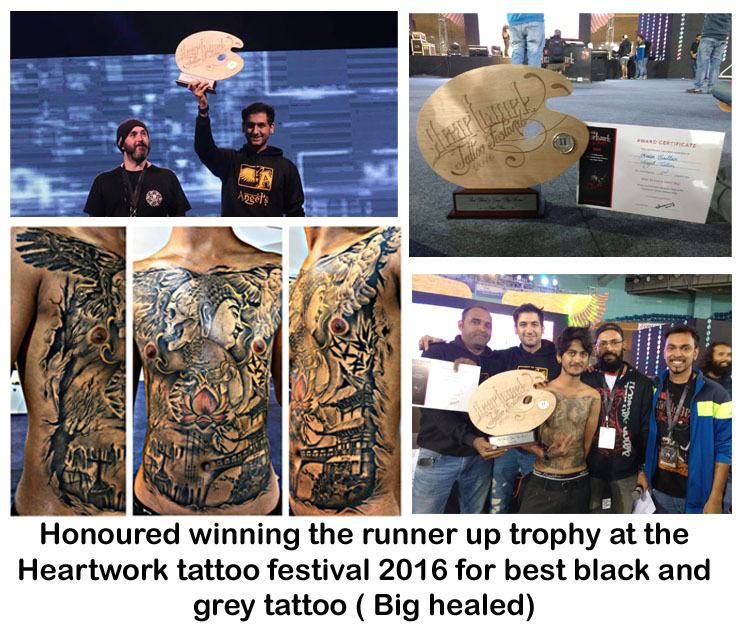 An article on me Winning the " Times of India Best Tattoo in Hyderabad Contest " in Hyderabad Times. 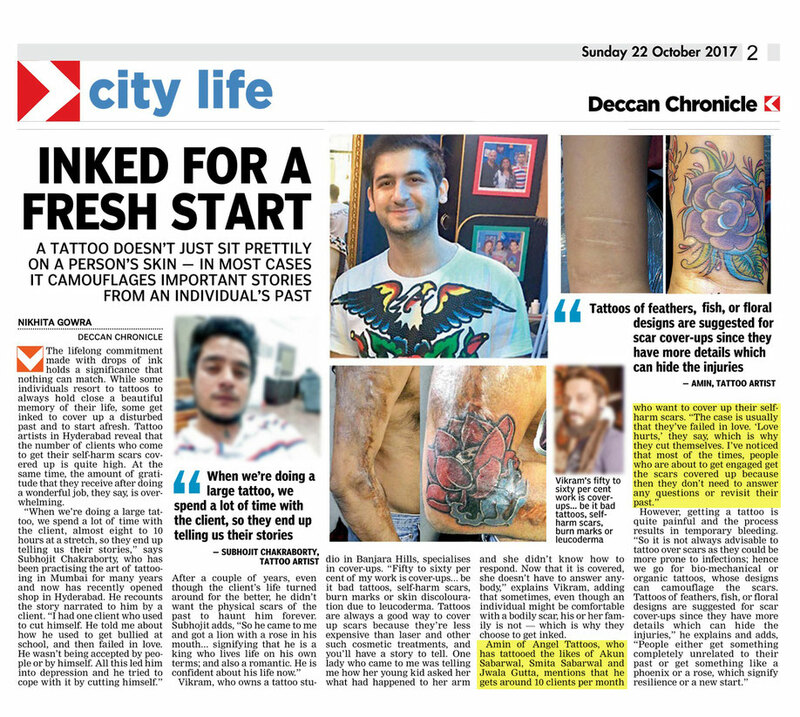 My interview on Tattoos in " Andhra Jyoti " news paper.